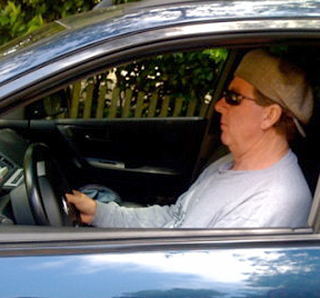 Positioning your arms at “10 and 2” (as drivers used to learn in driving school) will not only cause your arms to quickly fatigue, but will cause your shoulders to pull forward. Then your forward shoulders pull your neck and head forward too! 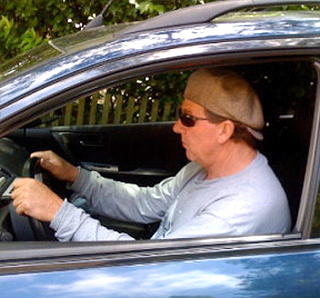 This posture also encourages you to grip the wheel and is also associated with feeling more stressed about the drive. Incorrect: Hunching over with shoulders pulled forward. Correct: Leaning back in the seat with a relaxed shoulder. Positioning your arms on the steering wheel at “9 and 3”, or even “8 and 4” are recommended now. From a posture perspective we find that holding the steering wheel at “8 and 4” allows your shoulders to relax and is much less stressful on the arms, shoulders and neck. And leaning back in the seat with a relaxed shoulder and head posture allows you to feel much less stressed about your drive. Give the lower arm positions a try. And let us know how you feel!